This week it was an honor to have on my TestTalks podcast Eric Lawrence, the creator of Fiddler. 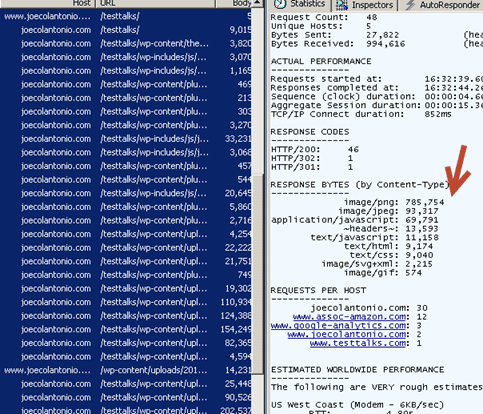 For those of you that aren’t aware, Fiddler is a tool that allows you to monitor, manipulate and reuse HTTP requests. Fiddler does many things that allow you to debug website issues, and with one of its many extensions, you can accomplish even more. 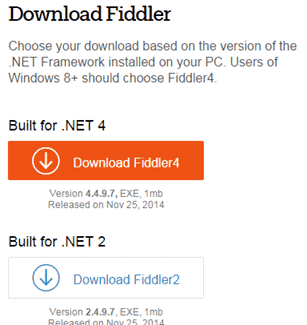 Let’s install Fiddler and take it for a quick spin. 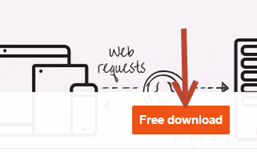 Select the Free download button. Choose the version you want to install. I’m going with the .NET 4 version. 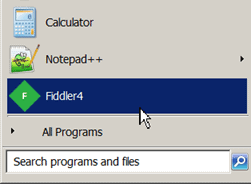 If Fiddler has installed correctly, you should have an option for Fiddler4 in your start> programs section. When you first start Fiddler you might be a bit overwhelmed with all the available options. Let’s take a look at some of the main UI sections for Fiddler to help you get more familiar with the different views. I want to show you the top five areas that I think are the most commonly used: Web Sessions, Session Inspector, Static Tab, Composer, and FiddlerScript. On the left-hand side, you have the Web Sessions List area. This contains any web session/HTTP proxy information captured by Fiddler along with some brief summary information for each session. 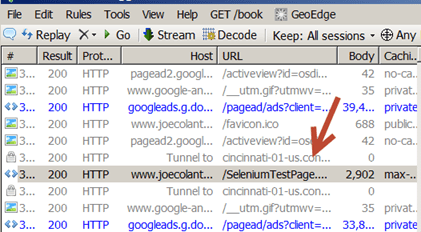 Under the Web Session list, find the SeleniumTestPage session. 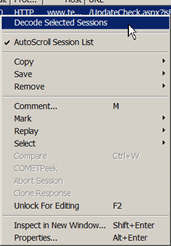 Double-clicking on a session allows you to view session-specific information under the Session Inspector. 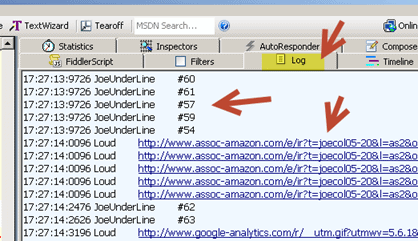 The Session Inspector tab will show you details for that web session info, including the request and response that was made. This makes it easy to monitor requests that are being sent to the browser. What’s really cool is that because Fiddler acts as a proxy, it shows you exactly what is being sent back and forth from your application. This information can help you debug issues with your application, and can also be used for security testing to see if there are things being exposed that an attacker could make use of. There is a great PluralSight course by Troy Hunt called Hack Yourself First that reviews all the ways in which an attacker can compromise your application, and how a tool like Fiddler can help you find those issues. Also notice that — depending on the tab that you are on — that there are many more options. 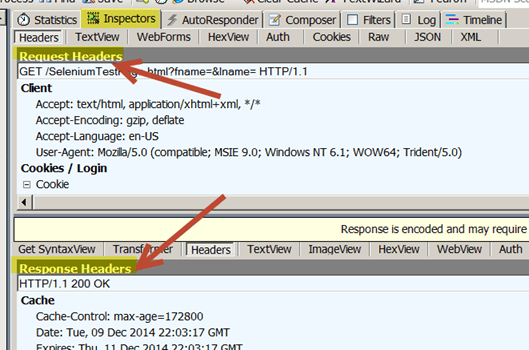 For example, the Inspector tab has a whole bunch of other options you can choose, such as Headers, TextView, Raw etc. To the left of the Inspector’s tab you will see the Statistic tab. This tab allows you to view the number of requests and information about them. Selecting multiple sessions under the Web Session list allows you to see statistics for multiple sessions aggregated together. You should see things, like how many requests were made (48), who made the requests, the response code returned forty six HTTP 200 responses, meaning everything was fine. If I had bad requests, like 404 errors, they would appear here. Furthermore, you can quickly see that the majority of wait time for this page to load is due to the images. 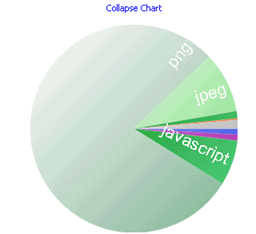 I should consider reducing the image sizes or format to reduce the amount of time it takes for TestTalks to load. At the bottom of this tab there is also a Show Chart option that visually breaks down the request. This make is easier to see that in my case it is the .PNG format that is causing the longest amount of wait time for www.TestTalks.com. As you can see, this view can be used as a quick way to evaluate any website’s high-level performance/health. Another really handy tab that is the Composer tab. The Composer tab is well-named because it allows you, in a sense, to manually create (aka compose), modify and send HTTP requests. You can also take an existing web session and drag it into the Composer tab copy and Fiddler will reconstruct that request in its entirety, after which you can execute it. This is really useful, because it means you can change things like User agents and see if your site responds differently based on that information. Highlight the www.testtalks.com web session. Drag it into the Composer tab. The machine I’m running Fiddler on is a windows machine. What would happen if we were to change the agent to make the website think the request is coming from a Mac using Prism? Click on the new web session that you just executed. How cool is that!?! We just fooled our website into thinking it was receiving a request from a totally different OS and Browser configuration. If you really want to modify a request, you can do all kinds of cool things using the FiddlerScript tab. The power of Fiddler script is its extensibility. If you need to do something that isn’t available out of the box, you can easily modify Fiddler to perform the functionality you need. One way to do this is to make use of FiddlerScript. FiddlerScript allows you to incorporate rules into a script that can modify a request or response at runtime. 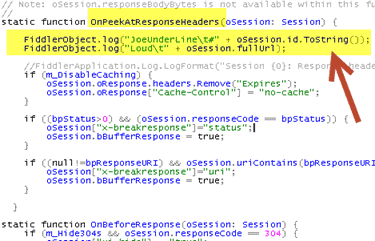 With Fiddler you can modify the session-handling functions, like OnPeekAtResponseHeaders (). This method is called before the response headers are sent to the client and before the body is read from the server. Let’s take a look at a simple example on how to use this. In Fiddler, click on the Log tab. Once you’ve gotten started with Fiddler you’ll start to see all kinds of different uses for it. For more Fiddler information, be sure to listen to Eric Lawrence talk all things Fiddler-related on episode 31 of TestTalks. Eric has also has written a book called Debugging with Fiddler that you can grab on Amazon. Hi Joe. Thanks for the great interview. I totally agree that one of the premium Fiddler benefits is its extensibility described by Eric. It creates synergy between core Fiddler features and various plugins. Here’s an example that I am familiar with firsthand. Our load testing tool called StresStimulus is available in two flavors, a standalone version, and a Fiddler plug-in. Unlike other tools, it allows to conduct low-level debugging of performance issues exposed during a load test. This makes it easier to pinpoint performance bottlenecks. StresStimulus is a commercial tool, but it has a limited free edition that works with up to 250 VUs. Hey Joe. I like this post a lot. Fiddler is such a cool and useful tool. I am looking to become better with it so I appreciate this article. Keep up the awesome work man!